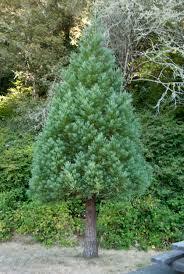 Giant Sequoia is the only existing variety of trees in the Sequoiadendron type. This tree variety belongs to the Cupressaceae family and it is one among the three varieties of the redwoods coniferous trees. The Giant Sequoia trees are having complexity in reproducing their original environment because of the seeds of the tree are capable of growing successfully only in full sun and in mineral-affluent soils, free from contending vegetation. When fully developed, these trees usually need huge amounts of water and are thus often intense close to streams. The Giant Sequoias tree is the biggest single tree and the largest surviving tree in the world by volume. A fully grown Giant Sequoias tree is capable of attaining a height, ranging from 164 feet to 279 feet, with widespread branches that spread between 20 feet and 26 feet. The barks of this tree are fibrous and furrowed, with the thickness of 3 feet at the bottom of the columnar trunk. It offers considerable fire defense for the trees. The awl-shaped leaves of the Giant Sequoias tree are evergreen, with the length, ranging from 0.12 inches to 0.24 inches, and they are set spirally on the shoots. The seed cones get matured in 18 to 20 months of the growth of the Giant Sequoias tree, with the length that ranges from 1.6 inches to 2.8 inches. Though they usually stay green and closed for a maximum period of 20 years, every cone contains 30 to 50 spirally set scales, with numerous seeds on every scale, offering an average of 230 seeds for each cone. The seed of the cone is dark brown in color, with the length of 0.16 inches to 0.20 inches, and a breadth of 0.039 inches, with a yellow-brown colored wing down each side. The wood of the matured Giant Sequoias tree is highly defiant to decay. The wood is used mostly for shingles and barrier posts, or even to prepare matchsticks. The Giant Sequoias tree is the longest surviving tree and its lifespan is more than 3200 years.